Published: March 24, 2019 17:05 Alii Muhammed, Special to tabloid! Gentlemen, the most anticipated event of the year is approaching — the annual Dubai World Cup, the world’s richest horse race. If you’re still trying to figure out how to dress for the occasion, or looking to up your fashion ante, follow these simple steps that will save you time and ensure you are on top of your style game. It all starts with grooming. Proper grooming enhances your appearance and will make you look more sophisticated. First impressions always matter and the way you look and carry yourself create an impact and will complement your whole look overall. So make sure you come showered, you don’t want to give off any body odour. Get your three-day stubble right and sharpened just right to your jaw and your hair blow-dried, combed and slick back. Don’t forget to apply your deodorant and cologne. Whenever it comes to getting ready, I always start getting dressed from the bottom up. Considering the horse races being a lengthy event followed by a concert performed by Gwen Stefani, you should choose lightweight, soft leather moccasins or double monks to complement the event a little more. You’ll be on your feet for the most of the event and want to be as comfortable as possible. However, you’re not going to be in the office anymore, it’s race day! It’s the perfect occasion and time to bust out the brogues, double monks or penny loafers. Once you identify what colour shoes you’re wearing, revolve your suit around that shade. I personally chose not to wear more than three colours whenever I dress up. Any outfit comprising more than three colours will confirm that a gentleman doesn’t know how to dapper up and will ruin the entire look. Considering that this is one of the most awaited events of the year, you want to look sharp, elegant, crisp and confident. When it comes to colours, you also have to make sure that each one complements the other two. For example: a pair of tanned brown shoes is the perfect complement for pink, blue or navy suits, leaving you with the freedom to play around with your shirt or tie. Accessories are the key to bringing your suit to life. Consider your options of a hat, sunglasses, tie, pocket-handkerchief, lapel pin, watch, cufflinks and belt. A gentleman will always make sure that all his accessories are the same colour; this helps to create a more neat and tidy look. Also, I personally like to pull off the no-sock look, called “mankle”. This involves wearing shoes without visible socks to flash a bit of oh-so-daring ankle. Of course, this doesn’t mean no socks. Invest in quality secret socks and remember, they should stay a secret. This is going to be the richest night in horseracing. So it doesn’t really matter how expensive your off the rack suit is nor how much you alter it, if it doesn’t fit right, you’ll still look like a slob. When purchasing a suit, make sure you’re fitted with the right cut for your size and body shape and getting your suit tailor made will always be the answer to that. The suit’s cut should complement your build and you can never go wrong with a white crisp double cuff shirt. Pants have to be altered to hit your ankles in order to flatter the sockless look. Make sure your lapels aren’t too skinny or wide by going for 3 or 3.5 inch width depending on the broadness of your shoulder. Tickets for Apron Views where the Meydan Style Stakes takes place are priced at Dh350, inclusive of access to the after-race concert featuring Gwen Stefani. Go to dubaiworldcup.com. 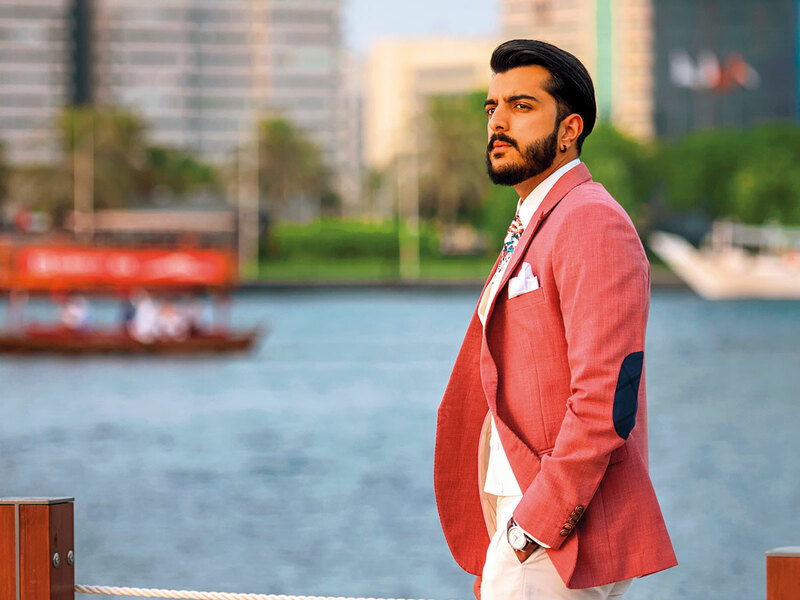 — Alii Muhammed is a Dubai-based fashion blogger. Follow him on Instagram at @aliimuhd.